I’m still working on the appliqué quilt. I thought I would work on something else but I seemed to be on a roll so I kept going. 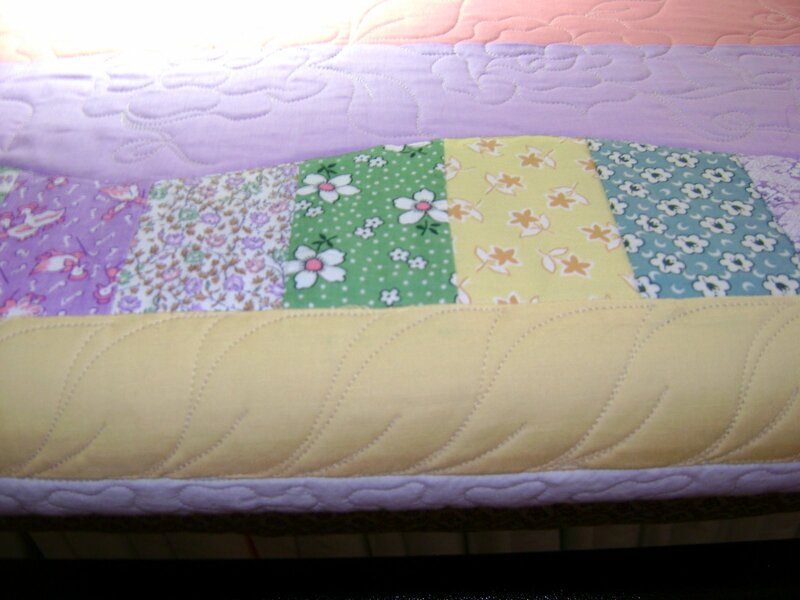 Here is a look at the border where I did roses. 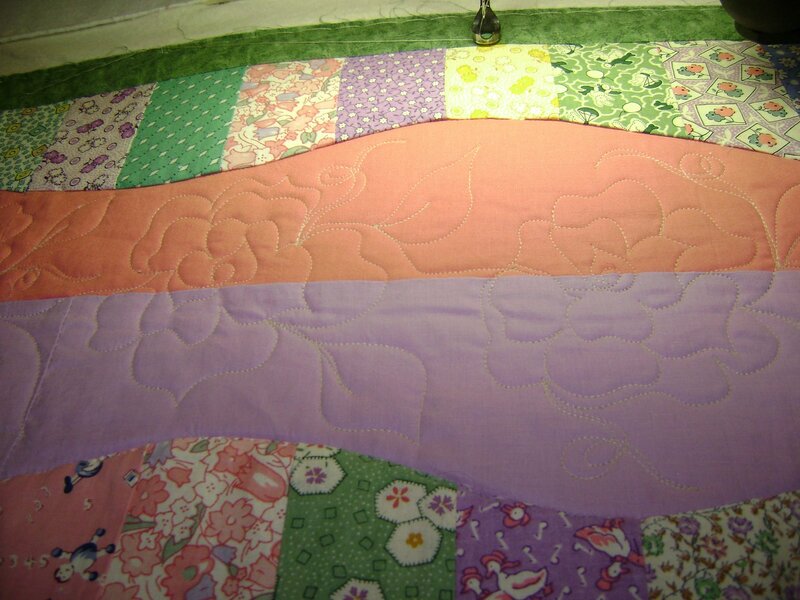 And a look at the inside border where I did leaves. Gee…. the days just seem to whiz by as my concentration is on a quilt. After work instead of working on a me quilt I started shredding some papers and junk mail. I think it kind of ironic that the banks have made changes so they could go paperless while at the same time they send out thousands of credit card junk mail. I call junk mail the searching for a dummy mail. I have far too much paper in this house! Everything from old receipts to old magazines. Hopefully, later today I will finish shredding old papers and get started sorting though some old magazines. 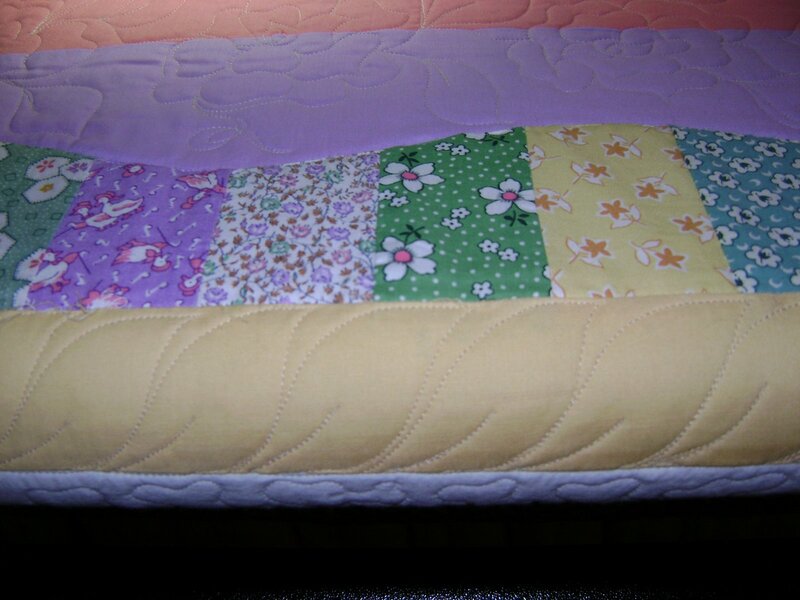 This entry was posted on January 17, 2008 by Anita in Customer quilts 2008, QUILTS - CUSTOMER.